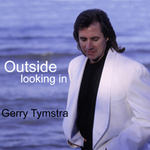 Sign up for Broadjam today to follow Gerry Tymstra, and be notified when they upload new stuff or update their news! Mixture of instrumentals and vocals - easy listening, about relationships and emotions. Great for an evening at home with someone special and a roaring fire.